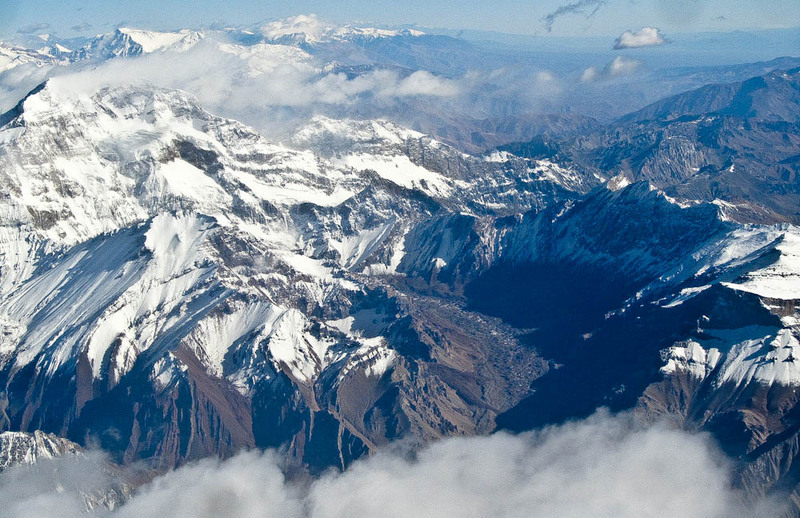 The Andes Mountains from 20,000 feet, I still remember this flight like it was yesterday due to a huge amount of turbulence for one part of the flight. The Andes Mountains create a tunnel of air and when the airplanes hit that tunnel of air you have a rough jolt to your system. Make sure you don’t make the mistake that I did, having a nice warm cup of coffee that was just served seconds before the roller coaster 5 second jolt. The flight is usually between Argentina & Chile and sometimes it doesn’t always happen but be prepared! Check out the top 5 section for more things to do in Argentina & Chile more things to do around the world.